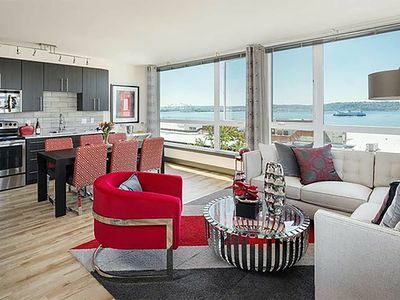 INSPIRING ELLIOTT BAY VIEWS from condo and rooftop! 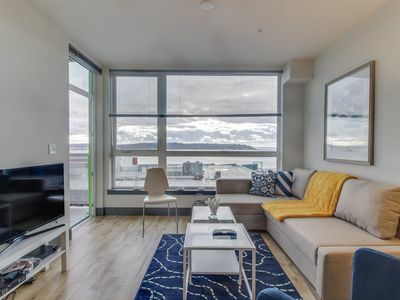 Gorgeous Views, Brand New/never Lived In! 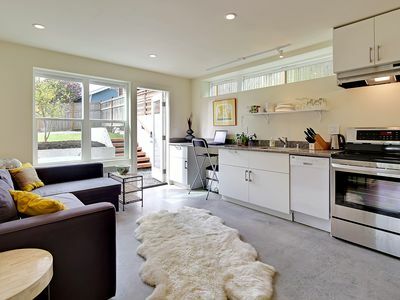 Perfect DT location- Nestled in Lower Queen Anne, 2 blocks to City Center, SIFF theatre and PNW Ballet! 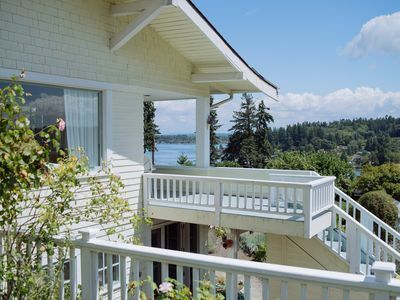 Rooftop with water views, controlled access, convenient street parking! 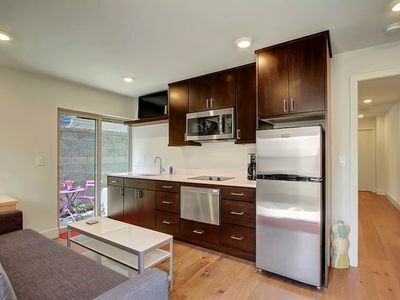 Full equipped kitchen w/ stainless appliance suite. 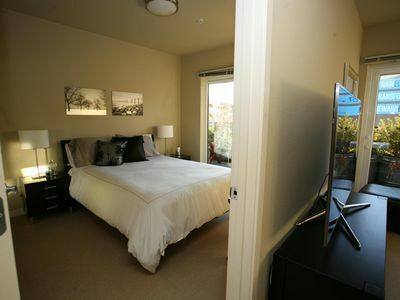 Tempurpedic bedding, Smart TV and all the luxuries you would come to find in a hotel plus SO MUCH MORE!! 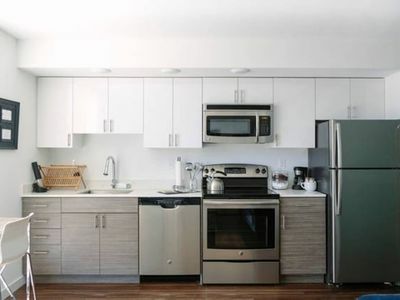 Posh, brand new one bedroom open floor plan in a gorgeous building in a prime location! 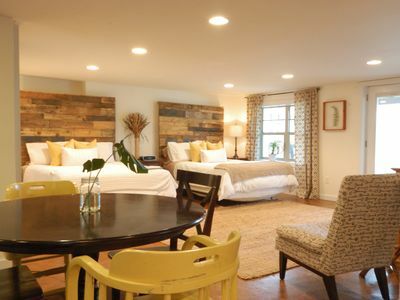 Boutique styled decor, everything you will need to make your stay as comfortable as home! 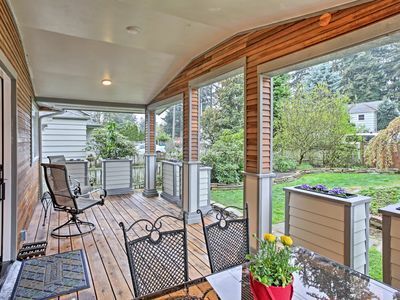 Walk to the Amazon headquarters, Zulilys' new Elliott Ave location, Nordstroms' Flagship store, Microsoft connector is just minutes for an effortless commute! 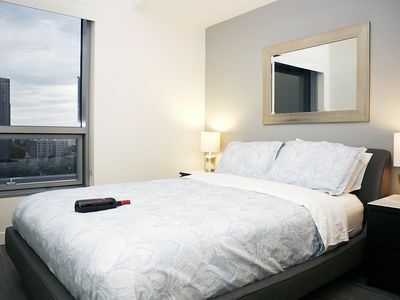 Modern chic sliding frosted glass door enclose your bedroom area- Queen sized TEMPURPEDIC bed with down linens. Lots of extra blankets and pillows if needed! Living area offers a gorgeous velvet tufted sleeper sofa that converts into a full size bed. 47 in. TV with Netflix, Hulu, app. 's galore!! Wifi included in the unit as well - All common areas! Kitchen is fully equipped to cook a home cooked meal - spices, condiments provided + pots/pans, dishware for 6 plus tons of extras!! 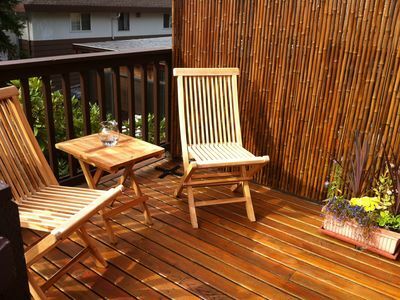 ALL ESSENTIALS INCLUDED, HAIR DRYER, IRON, KITCHENWARE, ETC. BASIC NECESSITIES OFFERED WITH HOTEL STYLE ACCOMMODATIONS! 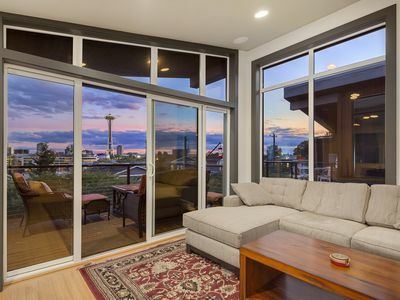 Rooftop with Puget Sound- Elliott Bay views, Space Needle and BBQ access! 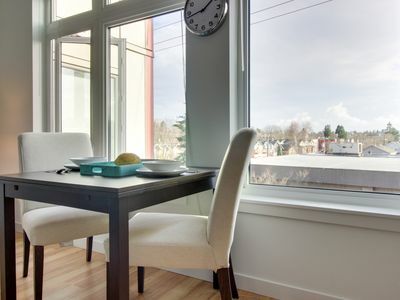 This brand new condo is Located in an ideal location in lower Queen Anne, Queen Anne Flats is a walkers paradise for residents providing easy walking to restaurants, shopping and entertainment. As little or as much as needed! 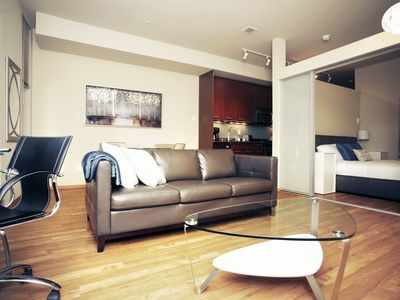 Situated between Seattle’s towering Queen Anne Hill and the trendy Belltown neighborhood, Uptown is a lively mix of restaurants, shops, residential communities and amenities. 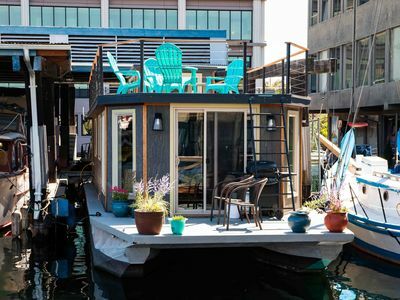 Home to the Seattle Center, including Key Arena, McCaw Hall, Pacific Science Center, the Experience Music Project, Seattle’s iconic Space Needle and more, Uptown is always bustling with activity. 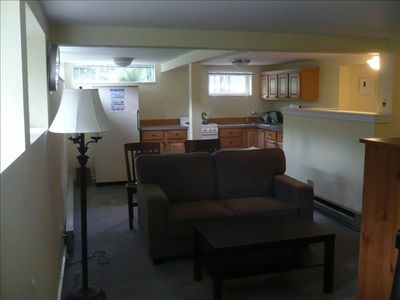 Very walkable location! Uber and Lyft are great options too, just download the app! Fast and convenient in the city! Public transportation information can be found online at metro dot king county dot gov. Parking is FREE surrounding the building on the street and ample! 2 Hour zoned PARKING 7AM-6PM EXC SUN-HOL. 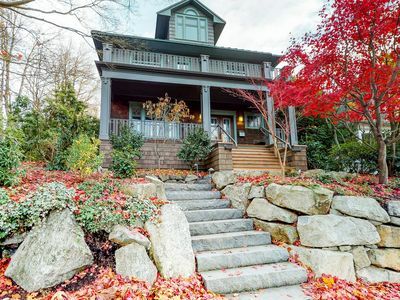 There is also a pay lot steps from the front door! 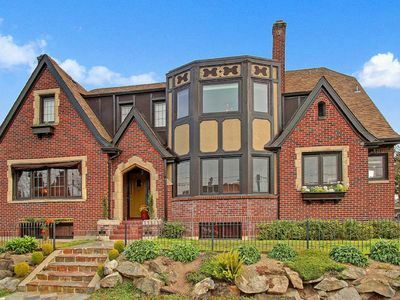 Set on a quiet street in the heart of the city! 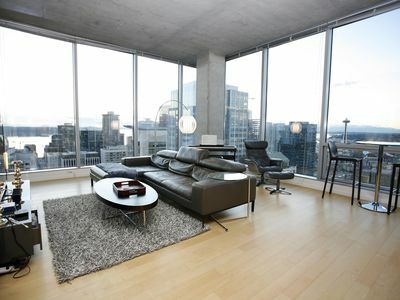 7 blocks to Pike Place Market, 3 blocks to The Space Needle/City Center. 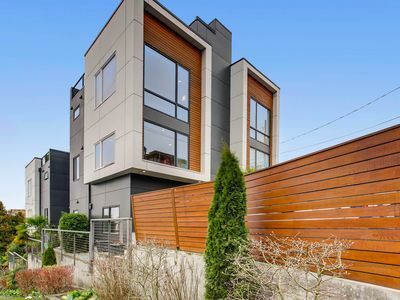 This brand new condo is Located in an ideal location in lower Queen Anne, Queen Anne Flats is a walkers paradise for residents providing easy walking to restaurants, shopping and entertainment. Our sleek and sophisticated homes include designer kitchen’s, spa inspired bathrooms and plenty of open space for living and entertaining. 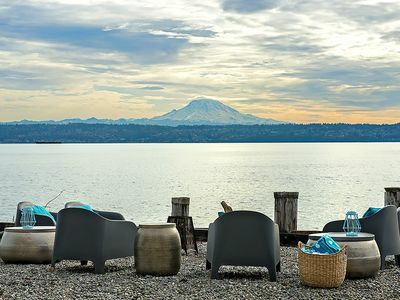 With views of Elliott Bay and the Space Needle enjoy our roof top lounge with fire pit.